Individuals come to us to sell oil royalties and sell gas royalties to quickly convert their stream of income to a lump sum payment through a very hassle free process. We will make fair offers on all oil, gas, and mineral rights. We have made offers ranging from $3,000 to the many hundreds of thousands of dollars. Royalty Purchaser is a firm that specializes in the CASH purchase of oil and gas royalties and mineral rights from estates and individuals. 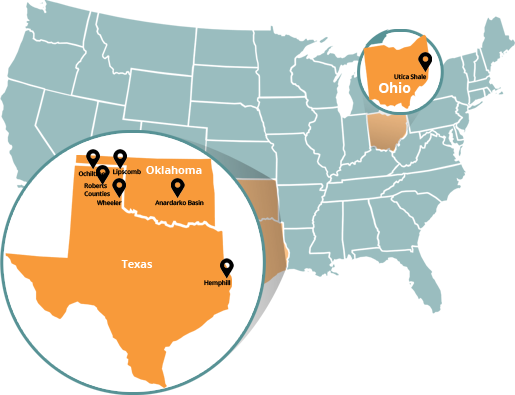 We buy oil royalties and buy gas royalties interests from Texas, Oklahoma, Louisiana, West Virginia, New Mexico, Michigan, California, Illinois, Montana, Canada and many other North American locations. Estates trust us because we provide a quick and easy way to liquidate assets out of estates and get a fair evaluation.